This is the first in a series of three volumes of Gadamer’s essays. While many of Gadamer’s shorter writings have been translated and anthologized so far, this series aims to bring to the English reader the many that remained untranslated. [i] The translations in this volume are very readable and have a light touch about them, which also enhances access to Gadamer’s thought. By including several essays published well after Truth and Method (1960), the volume promises to make visible the nuances in his later reflections and deepen our insight into the earlier work. On the whole, it paints a portrait of Gadamer as an erudite historian of philosophy, a committed humanist (and staunch Europeanist), and a genial raconteur of his long, rich academic career. These are mostly good things. While my review unavoidably considers Gadamer’s own views in these essays, I am more concerned even there with this edition as a self-standing volume and I will examine certain editorial and translation decisions to this end. The present volume contains 18 essays[ii] arranged in four parts, covering Gadamer’s reflections on (1) history in general, (2) Dilthey’s significance, (3) other critical encounters, and (4) Heidegger’s significance. A Preface by the translators outlines the goals and contents of the volume, stresses the nuance to be gained by reading Gadamer’s later writings, and situates Gadamer’s thought broadly with respect to its reception in both continental and analytic philosophy. An Introduction by the translators spells out some details of Gadamer’s thoughts on history, phenomenology, language, and practical philosophy, and encourages the beginner predisposed towards these thoughts. Part 1 contains 6 essays, the oldest of which is from 1964 and the newest from 1991. This part considers the problem of history as a lived experience and as an existential question in the face of a prevailing naturalism. Part 2 contains 3 essays from the period 1984-1991, which attest to the enduring presence in Gadamer’s work of Dilthey’s conception of hermeneutics and historical consciousness. Part 3 contains 5 essays dating between 1974 and 1994, which situate Gadamer’s thought in relation to other figures in his firmament, Husserl, Sartre, Bourdieu, Habermas, and Derrida. While Heidegger looms large in in every piece, Part 4 contains 4 essays from 1985-6 focused on different aspects of Heidegger’s work as a researcher and as a teacher. The essays on the first topic, “history,” vary greatly in style. 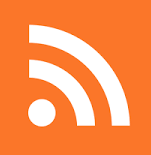 Some are analytical and were intended as articles, while others are relatively lyrical, when not simply rambling, and come from “improvised”[iii] opening or closing remarks at conferences. The first essay “Is there a causality in history?” lays out the key idea. The concept of causality in the natural scientific attitude concerns a regular connection enabling prediction and planning ahead, whereas causality in history is rooted in the fundamental experience of an event as something that has already happened, something singular and surprising that entangles us in questions of freedom and necessity. To understand this experience, Gadamer unpacks the history of the concept through various philosophers and shows that the concept of causality is interwoven with fundamental ontological questions about human existence. Drawing up a term’s intellectual history[iv] and relating it to the structure of Dasein with Heidegger’s help is a common thread through several essays. The problem of history, then, invites us to think the question of being. The other essays in this part develop this key idea different ways. I found it hard, however, to see how developing the idea differently also amounts to adding “nuance” to it, as the translators claim (viii-ix). The second essay is said (x) to newly re-engage Leo Strauss, but one finds in it just a passing mention of Strauss that clarifies very little. 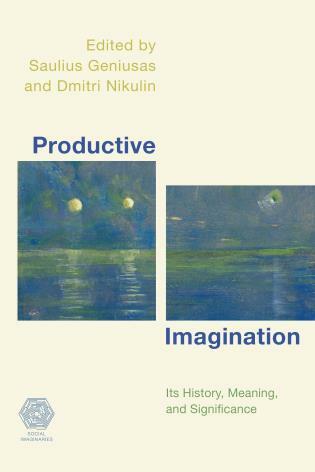 [v] Moreover, the essay’s thrust that the problem of historicism in recent philosophy has always been around since the ancient Greeks seems to de-historicize the issue itself. The third essay (from 1991) is really all over the place. In it, Gadamer returns to the contrast between the scientific and historical viewpoints, but we can scarcely take seriously the leaps he makes between the Big Bang and the evolution of the universe on the one hand, and Foucault, Homer, Galileo, and much else on the other. [vi] The essay eventually snowballs into dire warnings about the rise of technology and pious reminders about the value of the humanities. This might catch everything and still miss nuance. To look for nuance in the fourth essay, which comes from “improvised” opening remarks, is futile. The last two essays in this part develop the concern for historical consciousness in a softer, reflective register, and ask about the experience of the old and the new and of dying. The nuance I find in the latter, however, is only an indirect one: while the conception of philosophy as a reflection on dying is somewhat familiar and remains interesting, Gadamer’s way of setting up this reflection via easy talk of the practices of dying in Christian, Islamic, and “the great East Asian cultures” (61) simultaneously underlines the need for a richer historical-sociological understanding of these topics and, in palpably betraying this need, Gadamer gives an honest account of the limits of his reflections on the question of death. In sum, while I celebrate the effort to make more of Gadamer’s corpus available to the English reader, I am left puzzled about how this also makes available a greater nuance. Related worries appear in regard to the translation. As mentioned, it reads easily and captures the effortless flow of Gadamer’s travels through complex ideas and vast periods. The edition includes a general glossary of German, Latin, and Greek expressions at the end and helpful editorial endnotes to each essay guide the reader diligently. Yet, I am confused by some translation decisions. For example, it feels important to note Gadamer’s use of variants of both Geschichte and Historie in a volume taking its departure from the topic, but this is not done. It might very well be the case that Gadamer does not differentiate their senses, but, given his clear interest in linguistic and idiomatic trajectories as well as the Heideggerian background, it would have been useful to mark the verbal difference. A striking instance of the choice to translate the same word differently concerns another central concept featuring in comparisons of Dilthey and Husserl, which is itself a recurrent theme in the collection. In essay 7, “The Problem of Dilthey: Between Romanticism and Positivism,” Gadamer complicates a standard story about Dilthey’s work proceeding directly from psychology to hermeneutics, from conceiving the understanding as an inner process to its establishment as a general principle of the historical sciences. Rather, for Gadamer, Dilthey’s thought is initially inspired by Husserl’s anti-psychologism, which leads him to reformulate the account of an “inner process” through concepts of life and lived experience. 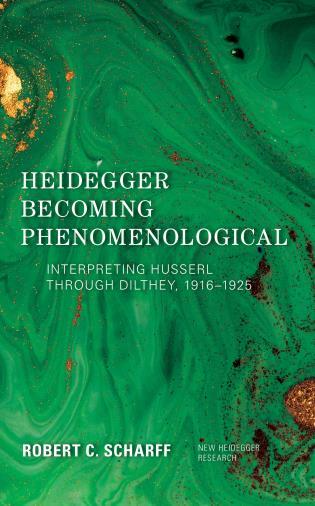 Yet, unsatisfied with Husserl’s explorations of transcendental subjectivity, Dilthey combines both German Idealist and British empiricist influences to expand the theory of meaning and its grounding in life and, ultimately, to envision hermeneutics anew. The concept Bedeutung underlies this revised story, but this word is translated sometimes as “significance” and sometimes as “meaning,” apparently to distinguish Dilthey’s life-based conception from Husserl’s logical-ontological conception. While Gadamer himself consistently used one term for both conceptions, the terminological distinction added without notation by the translators may lead the anglophone reader astray. Part 3 covers Gadamer’s other encounters (Husserl, Sartre, Bourdieu, Habermas, and Derrida) and is a bit of a mixed bag in terms of strength, but possibly justifies its inclusion in the volume due to the unfailing ability of Franco-German encounters to deliver satisfying entertainment, whether this takes place in a seminar room or on the football pitch. Essays 10 (1975) and 11 (1974) embody Gadamer’s reflections on Husserl. The former essay had been translated previously and I take it that it is recalled here as an introductory piece to situate the latter essay, which wades a little deeper into the issues. The former essay claims that appeals to intersubjectivity do not absolve Husserl’s transcendental phenomenology from its subjectivist trappings, nor is the concept of intersubjectivity lacking in Heidegger’s project in Being and Time, since the concept of being thrown into the world and the equiprimordiality of being-with and being-in-the-world include it. The latter essay analyzes the concept of the lifeworld and emphasizes that this is not a new development in Husserl’s thought. Rather, it marks a return to older questions about the thoroughness in bracketing the world, and, in fact, returns to yet older questions in German Idealism about thoroughness in setting up the foundations of transcendental philosophy (143). Gadamer locates his own turn to the movements of interpretation as an alternative to such issues of foundation, which have not been able to exit the sphere of the subject. Essays 12 and 13 engage Sartre, Bourdieu, and Habermas, but they are not as strong as the Husserl treatments. Gadamer reminds us how novel Sartre’s joining together of Hegel with Husserl and Heidegger had appeared at the time and how this had to be squared with the characterization of Sartre as a French moralist. This concern with views from outside is also present in the review of Bourdieu’s The Political Ontology of Martin Heidegger, which is coupled with the short review mentioned earlier of Habermas’ Philosophical Discourse of Modernity. Gadamer cannot stomach Bourdieu’s sociological approach, which appears to him to reduce the highest questions of truth and thinking itself to mere posturing, and he suspects that Bourdieu’s analysis of academic sublimations of socio-economic structures and anxieties is driven by a misplaced animus against the German university system and by easy comparisons with the more public intellectual sphere in France (169). Part 4 brings us four essays on Heidegger from 1985-86, each replete with fond recollections of the master’s quips and quirks, but each playing a slightly different role in this part. The first (essay 15) combines an account of Heidegger’s formative influences with Gadamer’s own under his direction. Hagiography notwithstanding, Gadamer occasionally registers nuances that one looks for in his later work, which occur in the form of realizations that dawned upon him much later, although these are not worked out in detail. He mentions his “recent insight” (211) that a possible influence of American pragmatism through Emil Lask may have come Heidegger’s way, or how, only much later, Gadamer saw in Heidegger’s course (co-taught with Ebbinhaus [sic], 213) on Kant’s philosophy of religion the inner theological grounds of Heidegger’s critique of metaphysics, which informs several late essays, e.g. essay 2 in part 1. The final essay 18 also revolves around Heidegger and “the Greeks,” but here Gadamer balances his endearingly self-deprecating reminiscences of the master as well as his protective gestures in the face of the latter’s “political ‘aberration’,” as he puts it (173), with a sharp account (257-268) of his differences with Heidegger over the question of approaching Plato mainly through Aristotle and thereby missing Plato’s own openness to an historical, dialogical questioning of being. Gadamer gathers evidence in support of his critique from close readings of Heidegger’s comments on Plato as well as various Platonic dialogues, which the reader will wholeheartedly welcome after the number of unsubstantiated, sweeping claims in earlier parts of the book. And although this is not Gadamer’s explicit intent, the style of his confrontation with Heidegger’s Plato hints at his proximity to the Tübingen school of Plato interpretation and to the shared background shaping the profound works on Plato by another student of Heidegger, Jacob Klein. The end matter contains an index of names, an index of subjects, and a list of works cited by Gadamer. [xviii] In view of the express intent of the series to complete the task of translating Gadamer into the English through its selections, it would have been useful to include a list of existing English translations of Gadamer’s other works of the kind at the end of the Bernasconi edition of Gadamer’s Relevance of the Beautiful and Other Essays. [i] Thus, together with those that were translated earlier elsewhere (130 articles), the series (50 articles) helps assemble an English version of all the major essays in Gadamer’s Gesammelte Werke (Tübingen: J. C. B. Mohr (Paul Siebeck), 1986-95, 10 volumes). [ii] Two essays in this selection had been previously translated into English by Gadamer scholars and translators Richard Palmer and David Vessey. These are both in the third part. [iii] Essay 4 in this part, “A World Without History?” (1972), was an “improvised opening talk” at a conference (288n.1), and it reads as such. Essay 3, “The History of the Universe and the Historicity of Human Beings” (1988), was a concluding speech at another conference (286n.1) and also rushes through a bewildering number of topics. Essay 5, “The Old and the New” (1981), was an opening speech (288n.1). [iv] Gadamer even formulates this at one point thus: “For a long time, I have followed the methodological principle of not undertaking any investigation without giving an account of the history of the concept.” (126) The translators’ introduction remarks on the richness of this method not without some enthusiasm, using Gadamer’s discussion of ousia as an example (xviii), to which I will return later. [v] The sought nuance would pertain to the differences we might perceive between Gadamer and Strauss on the problem of historical consciousness, but all this comes to rest on one cryptic sentence: “Strauss could not see that a reflection on the temporality of our understanding and the historicity of our existence is not always already at play in this question.” (17). Which question? A few lines above Gadamer states that we are concerned with “the urgency of the Socratic question,” but there was no mention of Socrates up to this point. 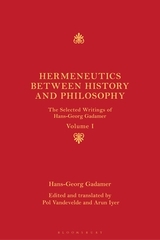 In another essay, Gadamer says that “[t]he Socratic question is a constant exhortation to remember, which sustains itself in all human reflection and in all human acts of giving an account of oneself, whether one may own such an account to oneself or to another.” (83) Presumably, Gadamer has this in mind, but neither he nor the editors help bring it before the reader. [vi] Consider this passage, which continues the puzzling talk of the universe as evolving – Gadamer calls it a “theory of evolution,” no less (27) – from the Big Bang: “If there is indeed such an evolution, then it follows in fact that this evolution in always pressing onward somehow pulls the future of the totality into our speculation. Here Foucault comes to mind. This may exceed our cognitive capacities, but it is thought ‘scientifically’ and fundamentally promises a savoir pour prevoir. Now this situation is completely different in the case of history, as indicated by Jacob Burckhardt’s famous words about history…” (ibid.) No relief from the barrage of such associations comes until the essay ends. [vii] The difference, at first pass, seems to be between, on the one hand, the textually received tradition of storytelling and its historical-phenomenological significance, and, on the other, the professional forms of studying the past beyond written records, involving archaeology and the pre-Greek past (28-29). The difference is missed in translating all instances with “history,” and made yet harder to see with other related decisions, like rendering Vorzeit as “pre-history” (240), Historie as “historiography” (49), etc. This contrasts with the attention given to Gadamer’s play with root forms of words, e.g. forms of stehen (51, 54), scheiden (52), schreiben (195), etc. [viii] Or “context” in other places. Essay 7 mostly uses “connection” to translate Zusammenhang, except on p. 80, where, like p.100 in essay 8, the metaphysically loaded term “nexus” is used. [xi] See Gadamer, Truth and Method, revised trans. by Weinsheimer & Marshall (New York: Continuum, 1998), 173-242. [xii] That Dilthey succumbed to the pressure of the times is expressed in essay 9 (109), but essay 7 (80) remarkably goes as far as to treat this as inevitable because Heidegger has shown that something of the order of the forgetting of being clouds modern metaphysics. [xiii] The anglophone reader today has many texts of Dilthey on history and hermeneutics available in the English to enable their analysis as well as of Gadamer’s references to them. I’m especially thinking of Dilthey’s youthful, detailed treatise on hermeneutics, and other writings on history, hermeneutics, and human sciences published by Princeton University Press in the late 1980s. Truth and Method mentions but does not take up the earlier treatise by Dilthey, and the present volume encourages its re-examination. The volume rarely engages in close reading of texts, but does contain intriguing clues emphasizing the presence of German idealism in the constellation of influences and tendencies at work in both thinkers. This topic has recently received impetus from the work of Kristin Gjesdal (Gadamer and the Legacy of German Idealism  and her not unrelated Herder’s Hermeneutics ), for instance. In view of these areas of research, it would have been useful to include Gadamer’s essays on Hegel and other German Idealists as a more pressing matter than those covered in weaker pieces of the present selection. 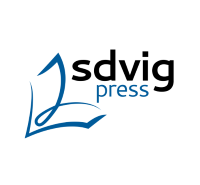 [xiv] Fred Dallmayr, “Hermeneutics and Deconstruction: Gadamer and Derrida in Dialogue,” in Dialogue and Deconstruction: The Gadamer-Derrida Encounter, eds. Diane Michelfelder & Richard Palmer (Albany: State University of New York Press, 1989), 75-92 (here, p.77). [xv] “Even more strongly than [Stärker als] our idealistic and phenomenological tradition, to which Derrida belongs [an der Derrida teilhat], what appears essential in the works of Derrida is the French style of literary criticism.” (190). German in brackets added by reviewer. [xvii] See my footnote 4 above. The passage also elicits a long endnote by the translators (307 n.6), which focuses on the senses of Anwesen and steers clear of any comment on the disturbing example. [xviii] Perhaps a sign of the times, but I note with some regret that I did not receive a hard copy of the book for review, which at least prevented me from seeing the back matter completely. Gander’s declared aim in Self Understanding and Lifeworld is to build on the untapped potential of Heidegger’s hermeneutical phenomenology of the lifeworld and the self-forming experience of reality. The book is a long and closely argued exploration of how a human being develops an understanding of oneself as a self within a social lifeworld. Gander spends perhaps a little too much time beating the dead horse of the Cartesian self but he does correctly emphasize the importance of the self not as a self-certainty but as a fluctuating play of unfolding human experiences in the historical world. The historicity of the individual is important to Gander, who focuses on the self-understanding as a to-and-fro between present experiences and progressive-anticipatory self-confirmation. To the contrary, Gaander says, the human self is historicized, meaning that the self cannot be identified as an ahistorical transcendent ago, but needs to be conceived as a historical self in the current of history. As human individuals, our task is to have to incessantly identify our self from within our self within the lifeworld. 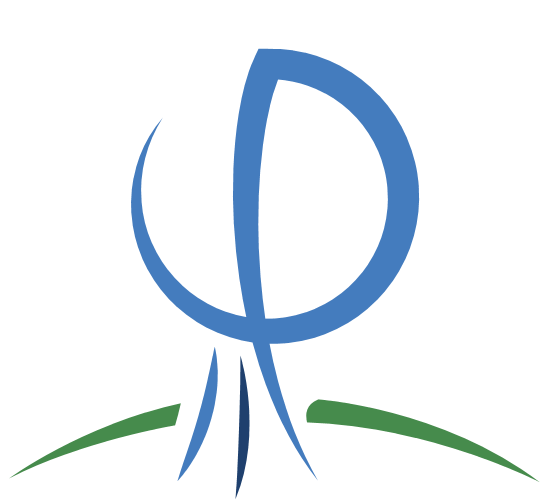 Gander’s primary task in Self Understanding and Lifeworld is to set forth a phenomenology of the human self that describes what it means to be a unified human self in the current of life history. In response to the philosophical need to critically discuss self-understanding within the lifeworld, Gander argues that the Husserlian conception of the phenomenology of consciousness is inadequate for answering the problem of history in the hermeneutics of the self-understanding of human beings in the world. Each of us, Gander says, is what we are only through what we have become, and thus, the hermeneutical question of the self-understanding takes shape in Heidegger’s project of a hermeneutics of facticity. In Part One, Gander interprets the human being’s facticity as similar to the writing and reading of a text. Gander’s analogy is to compare self-understanding with understanding a text. Our knowing is an interpretation, including our knowing of ourselves, allowing us, Gander argues, to compare the understanding of our self with the understanding of a text. The move Gander makes here is one with which the reader may or may not agree, and the reader may or may not find Gander’s defence of it—a blending of Dilthey, Foucault, and Gadamer—convincing. In short, if I understand Gander correctly, his argument is that in a text, there is a space in which the writing subject disappears and since a human being’s self understanding is a historical consciousness—a kind of text being written and read—we as a knowing subject of our self-understanding disappears. The textual analogy rests largely on seeing the historicity of the individual as a kind of reading of the individual’s cultural traditions. We enter into the text (the “book of the world”) of our tradition and in reading and interpreting that text, our individual self-persuasion forms itself. Gander says that “the human self- and world understanding underlies and forms itself from out of the force field of the particular historical-cultural tradition.” (55) That individuals develop their understandings of self and world from their cultural tradition is uncontroversial, but whether we gain philosophical understanding of this process by applying the textual analogy is open to question. Gander’s argument is certainly plausible, but it is not clear that it is an advance on other philosophical approaches. Regardless of how we view the self-formation of the human self, we are left with the problem of the lifeworld. 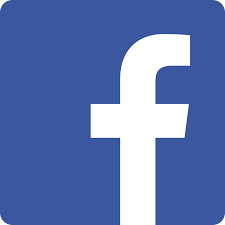 This is a philosophical problem because the constitution of the self and the possibility of self-experience are connected to the self’s history in the world. Gander turns to the problem of the lifeworld in Part Two. The field of reality, Gander says, opens itself to the philosopher in the language the philosopher speaks and the meaning of its concepts which are set out in historical context. The approach needed, therefore, is a hermeneutical interpretation of concepts that is related to human situatedness in everyday experience. (79-81) Gander then enters a lengthy exposition against Descartes’s philosophical method and the self-certainty of the self within Descartes’s method, little of which will be new to the reader. Our finite self-relation is constituted by both transcendence and difference, Gander argues, and though our phenomenological approach to the problem of the lifeworld benefits from Husserl’s epoché, it also benefits from the early Heidegger’s critique of Husserl—specifically the former’s view to the structure of care. Gander sides with Heidegger in rejecting Husserl’s empty certainty and in accepting instead the understanding that science should be posited as knowing comportments of human beings. Human knowing is a specific mode of being in the world and taking this into account allows our phenomenological approach to include the unexpressed effective background beliefs that form humans’ presuppositional horizon. 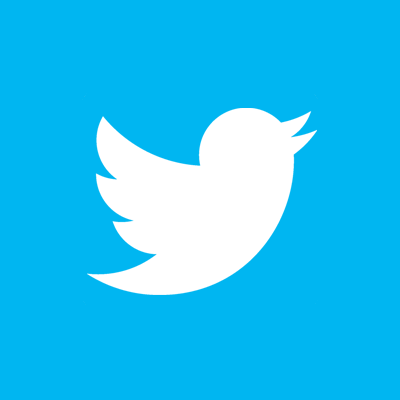 The proper things of philosophy, Gander concludes, following Heidegger, are not experiences of consciousness taken through the transcendental and eidetic reduction but the phenomena of the human ontological condition of the care for life. Heidegger grasps facticity, Gander says, as the existentiell situation of the individual—one’s own concrete, particular context of life. (196) Self-understanding is therefore experienced in one’s particular facticity within an historical horizon constituted by both transcendence and difference regarding one’s orientation to oneself and to the world. Having argued for the preference of Heidegger over Husserl, Gander turns back to the issue of a hermeneutics of the self-understanding of human beings in the world. He begins by approaching the pretheoretical life. The human is enmeshed in factical life in such a way that the self as activity constitutes itself in the lifeworld. What we call “life” is known through and in a hermeneutically interpreting active knowing of the having of life itself. (212) Life in itself is always my own life and what it means to be a self is to experience the self-world that is there for us in every situation. Our phenomenological approach must look at the factical experience of life that is always lived out in a lifeworld which is centered in the self-world of comportment to oneself. (214) Gander’s hermeneutical ontology of facticity considers the world-relation as self-relation and constructs an historical ontology of our ourselves based on the conception that experience fundamentally refers to self-relation that is always already situationally related or bound. We make experiences only in situational connections, and situations create in themselves possibilities of experience for me. Self Understanding and Lifeworld is perhaps longer of a book than it needs to be. One could also argue that it covers well-worn paths of material. As a contribution to Heideggerian studies, Gander’s book has value in how he relates several concepts in Heidegger to other twentieth century philosophers. Any writings concerning this subject matter are, almost by necessity, opaque and complex, and Self Understanding and Lifeworld is definitely those things. Gander’s differentiation of everyday experience as an historical life is a difficult read but worthwhile for the reader who is interested in new applications of Heidegger for the study of the self.